Every day in America, classrooms watch and discuss Ken Burns’s documentaries. The Civil War has been one of the most-used history films in American schools since its broadcast in 1990. 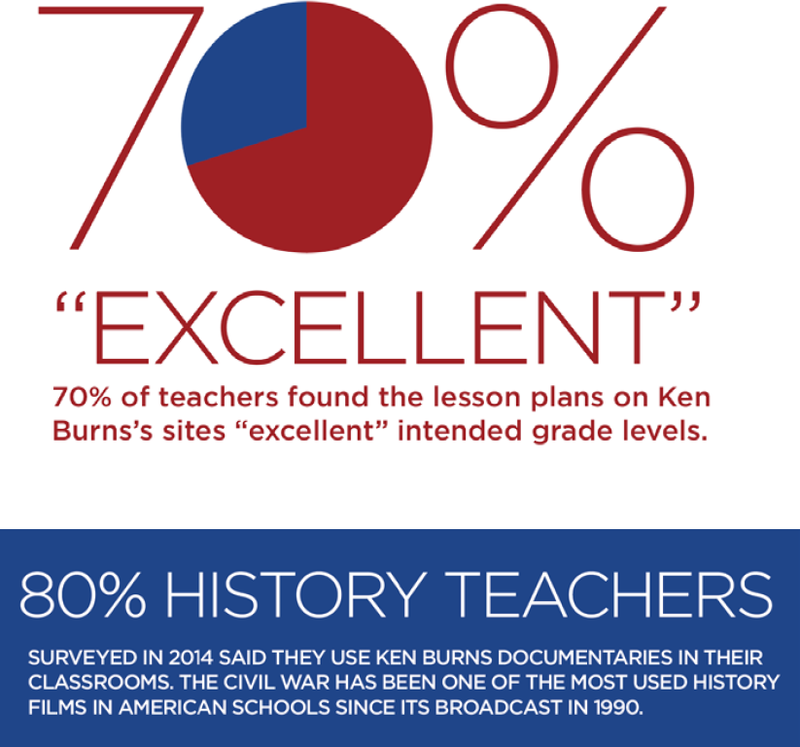 For the past twenty-five years, the Ken Burns name has symbolized a trusted resource for classroom use. The films are memorable, spark dialog, and provide an engaging way to understand history. Educational materials and activities created in conjunction with the films offer themes for discussion and use a storytelling approach to engage students in multimedia classroom projects. Now, with the wealth of new media opportunities available, Ken, his team at Florentine Films, and PBS are developing even more ways to deliver the films’ content, encourage civil discourse, and address the knowledge gaps in American schools. Ken Burns is redefining education. You get an emotional connection to history through his films that you don’t get out of a textbook. 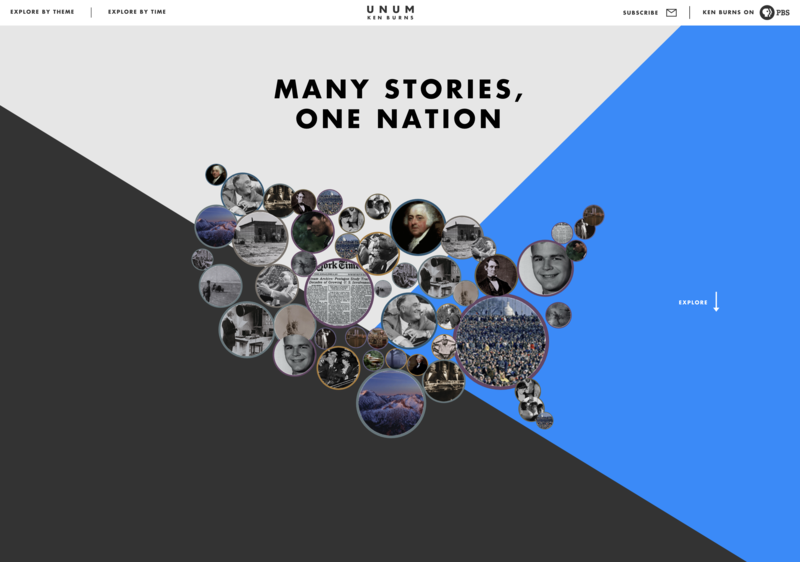 From January 2013 to March 2016, the collective Ken Burns’s sites received over two million educator page views. 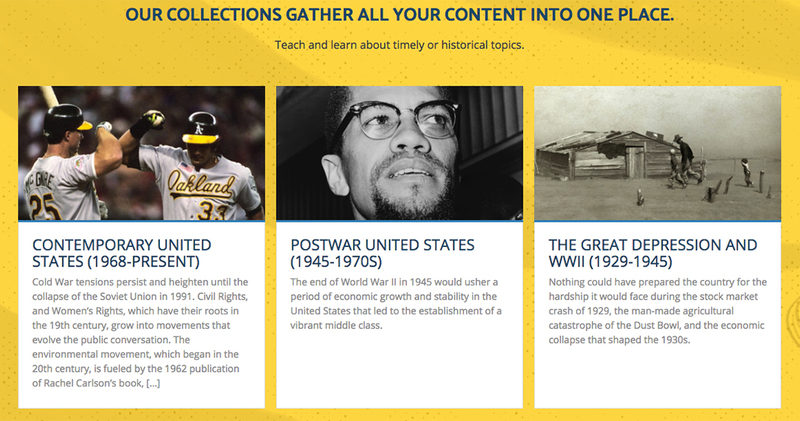 More than 250,000 teachers have accessed lessons on Ken Burns sites this year. 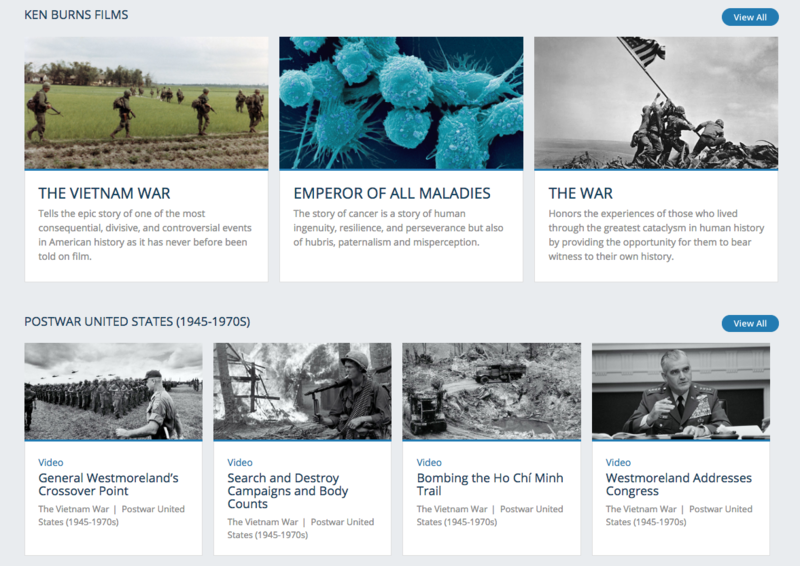 The educational materials for Ken Burns’s documentaries challenge students to go beyond each film’s specific topic and explore the themes that are central to who we are as a nation. Developed around key curriculum subjects, including social studies, history, civics, and geography, they support critical thinking, creativity, communication, and collaboration. They are also closely aligned with content-based and common core standards. Classroom activities include carefully selected video segments that take advantage of Burns’s extraordinary ability to bring history alive through storytelling. 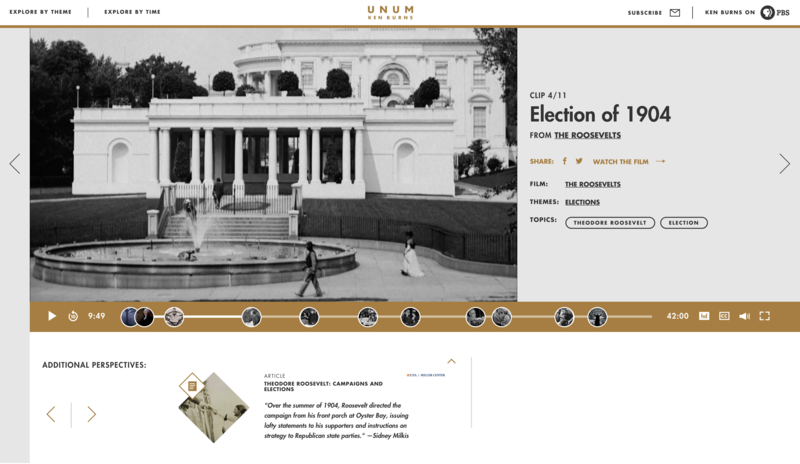 By stimulating discussions and civic engagement, the materials give teachers powerful tools for demonstrating how history is urgently relevant for their lives now, and in the future. UNUM is made possible by a generous gift from David Rubenstein. 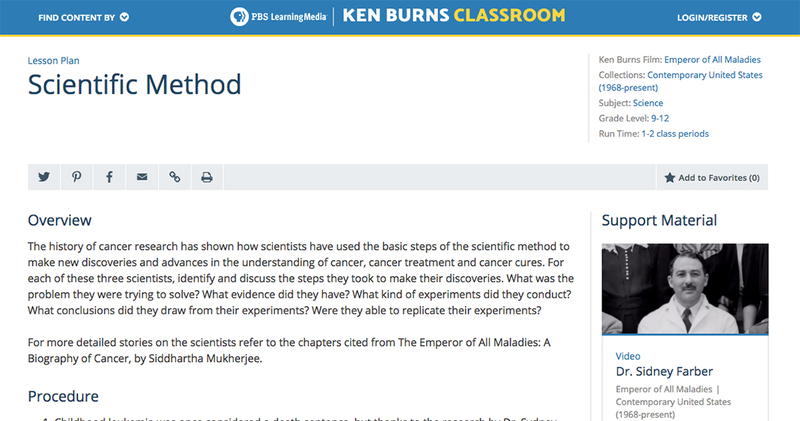 Ken Burns’s Classroom is a new microsite on PBS’s website for teachers, PBS Learning Media. 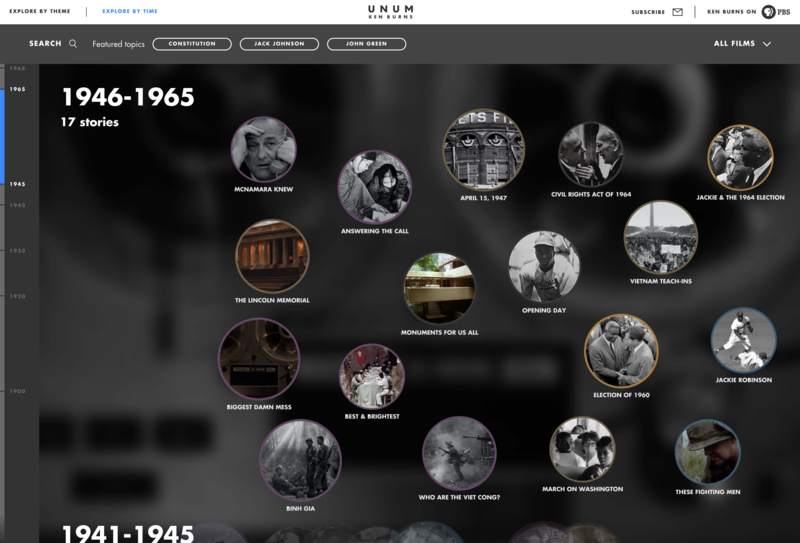 It is a new direct way for millions of teachers and students to find curricular resources, clips and lesson plans related to the timeless documentary films Ken has made over the last four decades. Tied to curricular standards and free to all users, this important compendium of teaching materials is a great way to use Ken Burns’s films in traditional educational settings and to reach the next generation of American historians.